 A reception with food and beverages will follow the service in the Life Story Center. 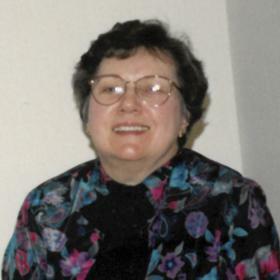 Kind beyond measure, Barbara Norberg was a loving, wife, mother, and grandmother. She loved to sew and paint but her greatest joy, however, was found in the time she spent with her family. Caring as well as fun loving, Barbara will be dearly missed and fondly remembered by her family and all those who knew and loved her. The 1920s saw the large-scale boom of automobiles, telephones, and motion pictures, as well as unprecedented industrial growth and significant changes in our nation’s culture. At a time when Lou Gehrig and Amelia Earhart were household names, George and Enola (Hadley) Quigg welcomed home their baby girl, Barbara, on April 21, 1928. Her birth brought great hope and promise to an exciting time in our nation’s history. Barbara lived a typical childhood of the times. She had an easy going personality and was known to take a special interest in the lives of others at a young age. Barbara was very close to her grandmother. On Saturdays they would head to the local theater and spend their hours watching the double matinee, sometimes more than once! At the age of five Barb’s mother enrolled her into the local dance studio where she spent years learning to dance, sing, and twirl a baton. But most importantly that is where, at the age of 13, She met Robert Norberg. Bob played the drums at the studio and Barbara danced. In the summer of 1941 they even headed out with the rest of the students for a performing tour of various fair grounds throughout the state of Michigan. Bob recalls taking Barb to the movies one night and getting home fairly late. Barbara's mother received a call early the next morning from a neighbor stating that Bob had been driving his Model A recklessly late the night before and that Barbara should be careful. Barb's mother curtly told her that she had gone to the movies with them that night and had been in the back seat the entire time! When Barb turned 17 her parents divorced and she began to live with Bob’s parents Carl and Dorothy Norberg. She loved them as her own and thought of Dorothy not only as “mom” but as her dear friend. 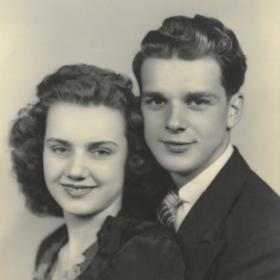 That same year, Bob finished up his time with the Merchant Marines and on December 19, 1945, Bob and Barbara were married. Shortly after their marriage Bob was drafted into the Army. Eager to settle down and start a family, upon Bob’s discharge from his service, they made plans to build their first home. It was a family affair, a home built by their fathers, brothers and uncles. As parents, they saw to it that their children were the centerpiece of their lives. They were intentionally raised to love one another and Barbara was proud to admit that her family got along very well over the years. She thought she had a clever plan to manage her rambunctious boys when they were young. She’d chase after them with a yardstick, although never actually using it, until one day they stole the yardstick and hid it from her! As a mother, she was very active in her children’s lives and volunteered her time with the school PTA. Barbara and Bob loved to camp. They spent many summers at state parks with their extended family. 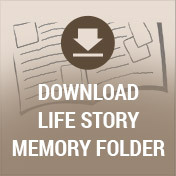 The family camping stories are numerous and she loved to tell them and hear them re-told. Her sons tell in great detail how their mother decided that pie was in order for their last day of camping. The boys waited patiently as she pulled it from the trailer oven and slowly headed for the picnic table… but much to the amazement of the boys, and Bob, they watched the pie slip from her hands and land upside down onto the dirt. Needless to say the entire family was devastated! There was no doubt that her children were her everything. No matter what she never held a grudge and ended each and every conversation with them with the words, “I love you.” A lover of all people, Barbara surrounded herself with many opportunities to entertain over the years. She loved each and every holiday from her Halloween costume parties to decorating for the special Christmas season each year, Barbara made sure to plan every detail. As much as she relished in her years as a mother, she treasured her years with her grandchildren. Many of her favorite memories were shared camping on their property in Gladwin, Michigan. Barbara rose early to get breakfast started ensuring that each guest had their breakfast made to order! A wonderful and generous host, their rustic trailer was their little slice of paradise over the years. They enjoyed one anothers company which often included playing cards well into the evening hours! Making memories was essential to her purpose in life. 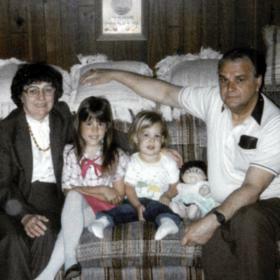 It can not be said enough that Barbara loved her family. Like her own children, grandchildren and great-grandchildren, her nieces and nephews were never far from her thoughts. Described as a beautiful person who always saw the good in others, her wonderful sense of humor and her unconditional love will be the greatest gifts she leaves behind. She will be greatly missed. 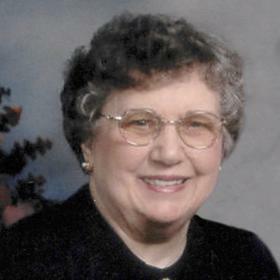 Barbara A. Norberg, age 90, of Kalamazoo died peacefully on January 2, 2019, at Bronson Commons. Barbara was preceded in death by her parents. Surviving are her husband, Bob, children: Jim (Kathy) Norberg, George (Patricia) Norberg, Richard Norberg, Ann (Ed) Hall; grandchildren: Jenny, Michelle, Michael, George, Curt, Markelle, Josh, Sarah, Rachel, and Philip; and many great-grandchildren. Cremation will take place. Services will be held Friday at 2 pm at Betzler Life Story Funeral Home, 6080 Stadium Dr. Kalamazoo (269) 375-2900. A reception will follow with food and refreshments. Burial will take place at a later date at Fort Custer National Cemetery. 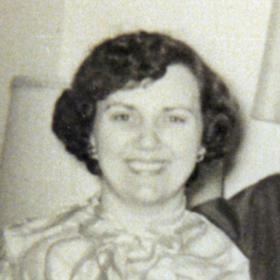 Please visit Barbara’s personal web page at www.betzlerfuneralhome.com, where you can archive a favorite memory or photo and sign her online guestbook before coming to the funeral home. Memorial contributions may be made to Kairos Dwelling.